I am an ardent consumer of nut and seed butters. I would guesstimate that I polish off a jar every week to week and a half. Globbed into a yogurt bowl, whisked into salad dressings, drizzled over roasted veggies, or smeared onto toast- I eat nut or seed butter at almost every meal. Due to this obsession, I usually keep 4 or so jars in my fridge at any one time. All are different varieties; a girl’s got to have choices! Right now, for example, I have a (half-devoured) jar of this Perfect Crunchy Almond Butter, pumpkinseed butter, 8 lbs of hulled tahini (we can chat about that later… haha), some un-hulled tahini, crunchy peanut butter, and pecan butter. Told you I was obsessed. So, due to my ravenous consumption of these nut and seed butters, it is much more economical for me to make my own. Have you seen the price of a jar of pumpkinseed butter, people? $14.50 for 12 oz?! What nonsense. I bought a 1 lb bag of pumpkinseeds at Trader Joe’s for $7. Anyway, I digress. 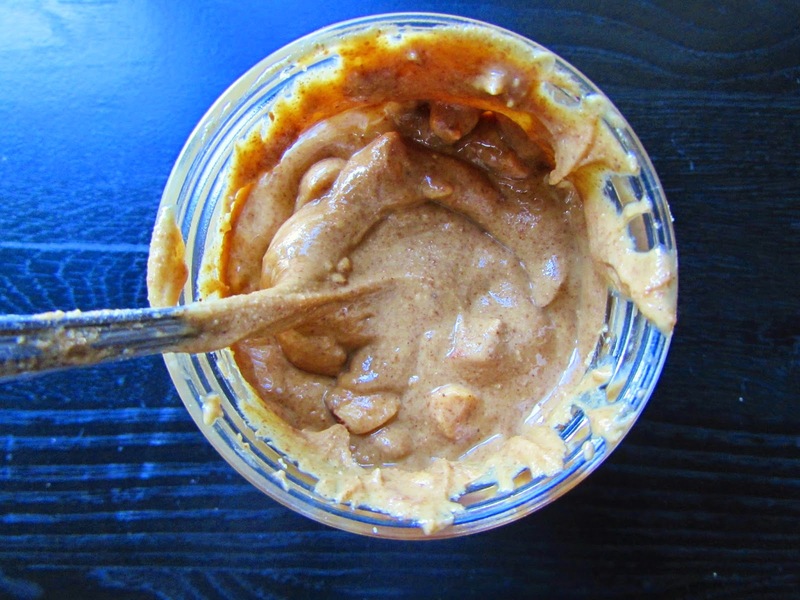 It is indeed much cheaper to make these rarer nut butters at home. Employing my trusty Vitamix, I can easily whip up a batch in 2-3 minutes. However, for those without a high-speed blender (i.e. 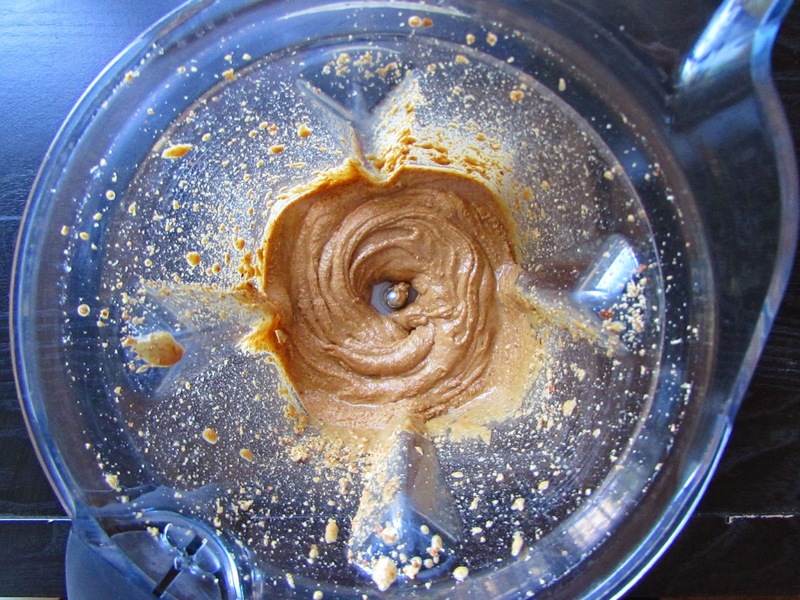 Vitamix or Blendtec or Ninja), proceed with caution before making nut butter. It could take you 20-30 minutes if you have a regular blender / food processor. Yes, I recall with much displeasure the first time I made a nut butter, cashew, for those curious, which took me a whopping 40 mins. Yes, I was persistent. Why I didn’t give up 20 mins in, I do not know. And then I got my Vita, and life has been beautiful. 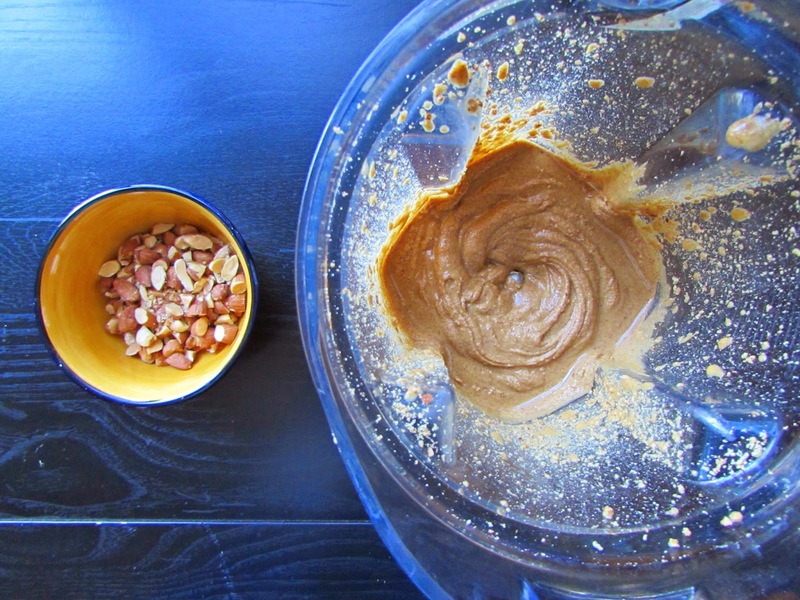 To make crunchy almond butter, set aside 1/2 cup of the almonds, and grind the rest into almond butter. Then just chop up the whole almonds and mix them with the almond butter. Crunchy bliss, ready to be slathered on some pumpkin muffins, or eaten by the spoonful out of the jar (Do it! I won’t judge you. *cough* I do it every day *cough*). Roughly chop 1/2 cup of almonds and set aside. Add remaining almonds and salt to high speed blender, such as Vitamix or Blendtec. Blend using tamper, increasing speed from 1-10. Blend on 10 for 2 minutes, or until smooth. 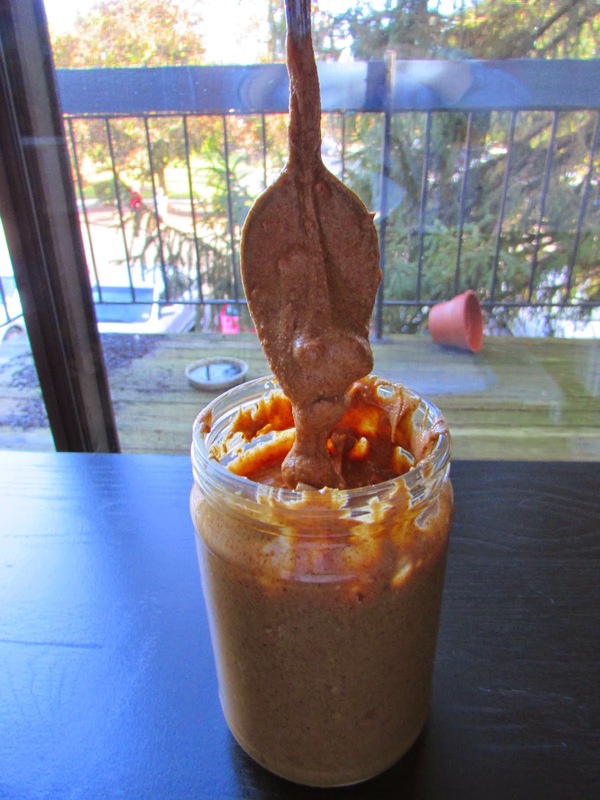 Pour 1/4 of the nut butter into a jar. Add some chopped almonds. 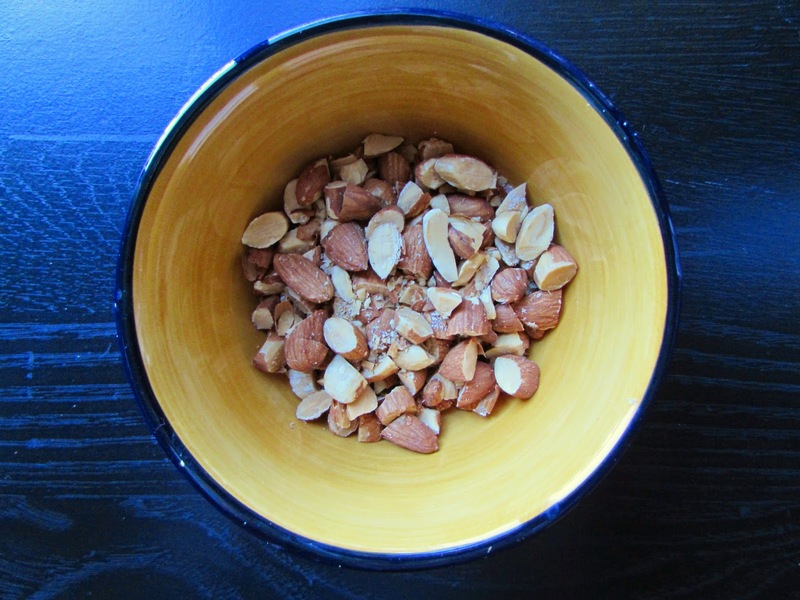 Add more nut butter, and more chopped almonds, alternating until all butter and chopped nuts are used. Then, using a spoon or butter knife, stir until combined. 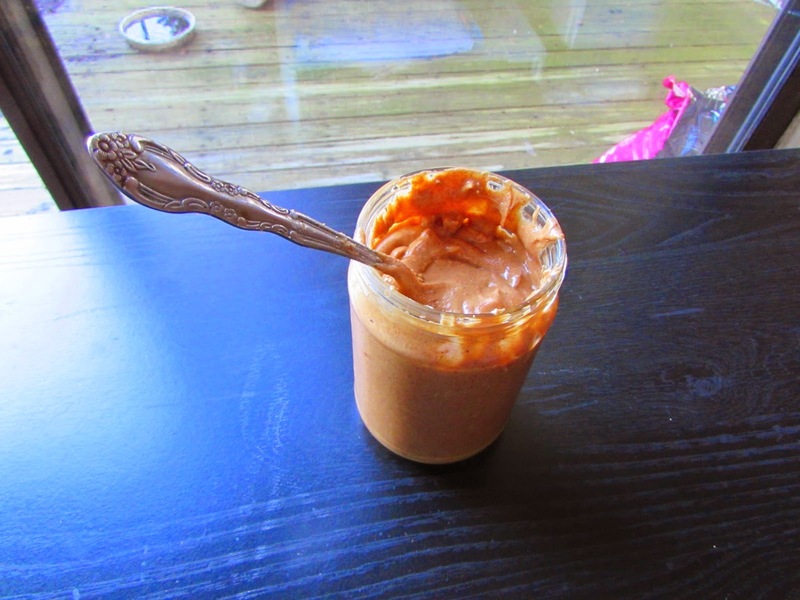 Your homemade crunchy almond butter is all ready!